Many of our responses to colour are subconscious — we don’t even realize the effect on our mood. But colour is so powerful there’s an entire alternative medicine field dedicated to healing through hues. Red, orange and yellow have been shown to evoke a broad range of strong emotions, for example, while colours like blue, purple and green can have a calming effect. Bright colours, such as yellow, reflect more light and stimulate the eyes. Yellow is the colour that the eye processes first, and is the most luminous and visible colour in the spectrum. There may be effects from colours that we do not even understand yet. Neuropsychologist Kurt Goldstein found that a blindfolded person will experience physiological reactions under rays of different colours. The skin may be able to “read colour” and our bodies, minds, and emotions respond! Colour defines our world and gives definition to the objects around us. The human reaction to colour is based on nature’s symbolism, and the human psyche is what interprets these colours and gives them meaning. We are just beginning to understand the subtleties of the influence of colour on our moods and emotion, and how we can use this influence to set a positive tone for our life. The colour red grabs your attention, and increases your blood pressure, pulse and breathing, according to the Paint Quality Institute’s website. Red is the colour most often associated with passion and love. Red also can stimulate your appetite, which makes it a good colour choice for your dining room. Red clothing can be energizing, and will earn you second looks. Mix red with white, and it transforms into a romantic and relaxing colour–pink. Orange conveys excitement and energy. In ancient cultures, orange was used to heal the lungs and increase energy levels. While orange is attention-grabbing, it also is bright, friendly and reminiscent of beautiful fall colours. Use orange–and its more muted cousin, rust–to create a welcoming room. Yellow represents sunshine, cheer, optimism and clarity. Yellow enhances concentration, according to InfoPlease.com. Although it usually is considered a cheerful colour, yellow can have negative effects. Of all the colours, yellow is hardest on the eyes, and it may stimulate your frustration and anger. Blue, the colour of sky and water, represents calmness and serenity. Fashion consultants often recommend wearing blue for a job interview, since it conveys loyalty, reliability and productivity, says David Johnson in the article “Colour Psychology” published by InfoPlease.com. You may wish to use this colour in your bedroom for its soothing effects. An overabundance of blue, however, can feel cold and depressing. Green, the colour of nature, is refreshing and relaxing. Hospitals and doctors’ offices often use green because it’s considered a healing colour. Schools and businesses frequently employ this colour in their décor for its stress-relieving effects. Green is an easy colour to live with in any room of your home. In its deepest shades, purple conveys richness, majesty and drama. Its connection to royalty dates to ancient times when purple dye was so expensive only by the wealthy could afford it, according to the Institute for Interactive Technology. Choose lighter shades of purple for a creative, feminine and sophisticated room. While black and white may be considered neutral, each has powerful associations of its own. Black can represent power and elegance. You may love wearing black for its sophisticated, slimming effect. In decorating, black can give a room depth. White connotes cleanliness and purity, and, as a wall colour, it provides a clean background for other colours. This entry was posted in From the Phantom Forest, Uncategorized, Unwind and tagged Colour, mood. Bookmark the permalink. ← There are some amazing health benefits, when you own a dog! Recent studies have revealed that our psychology have great effects on the colour of the things that we use as well as the colour of the surroundings. 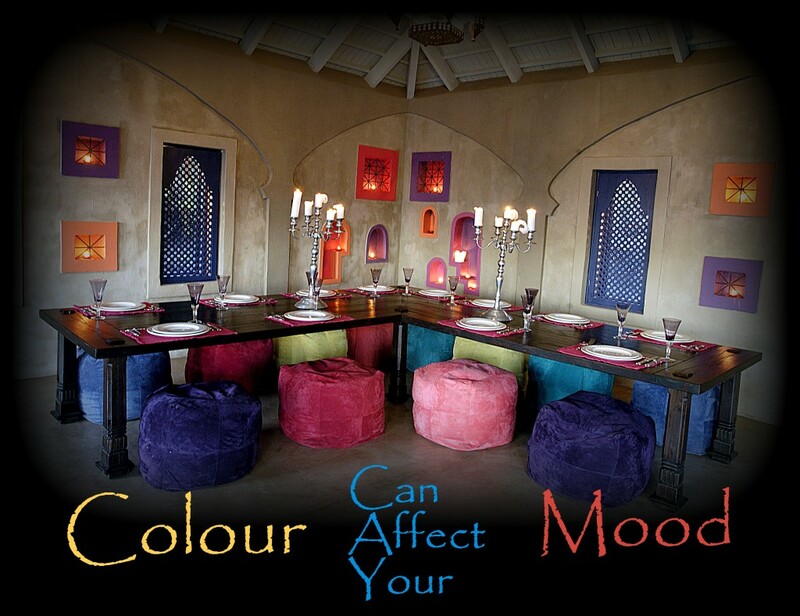 The room of our colour may change our mood, so it is important to know the colours and its effects on our moods.